A pair of studies find that meat purchased in grocery stores and online isn’t always what the labels indicate. If you’re a health-conscious carnivore browsing for bison brisket online—or maybe you’re a new Paleo diet devotee trolling the grocery store for a package of ground beef—you probably pay close attention to what’s on the label. Was the animal organically raised? Was it grass-fed and not treated with antibiotics, or was it fattened up with feed dosed with pesticides? Like most folks you probably assume that what you’re purchasing is what the package claims it is. But according to the results of a pair of new studies, you might be buying ground horse or a fancy slab of American beaver instead. That’s the finding of two studies produced by Chapman University’s Food Science Program that will be published in the January 2016 Food Control journal. The researchers conducted DNA testing and other scientific analyses on samples of ground meat (such as turkey, pork, chicken, and beef) found in brick-and-mortar grocery stores and on samples of specialty game meat (including bison, pheasant, and bear) sold online. About 20 percent of the time, the label on the package didn’t line up with what was inside. Of the 48 fresh and frozen samples of ground meat found in traditional markets, 10 were mislabeled. Nine of those 10 packages contained a mix of meat species—partially what the label indicated and partially some other animal. The tenth sample was meat from a completely different creature than what the label suggested. Unintentional contamination at meatpacking plants may account for some of this, according to the study’s authors. If a processor handles pork, beef, and turkey, for example, and doesn’t fully clean the equipment, DNA of one animal can, in varying degrees, end up in the packaging for another. The researchers also speculated that “lower-cost species [are] being intentionally mixed in with higher-cost species for economic gain.” In particular, that raises a concern about the ethics of the $39 billion specialty game meat market in the U.S. Indeed, the second study tested 54 samples from that lucrative online market and found 10 packages were mislabeled. One bundle of black bear burgers was actually beaver, two packages of pricey bison burgers and one package of expensive yak burgers were plain old domestic cattle, and a container labeled as pheasant was helmeted guinea fowl. The retailer, of course, pockets the difference. That’s troubling enough, but the researchers also found that two of the ground meat samples contained horsemeat, which is illegal to sell in the United States. “Although extensive meat species testing has been carried out in Europe in light of the 2013 horsemeat scandal, there has been limited research carried out on this topic in the United States,” Rosalee Hellberg, an assistant professor at Chapman University and coauthor of both studies, said in a statement. It’s not hard to imagine all the vegetarians out there breathing a sigh of relief—after all, kale is undoubtedly kale. 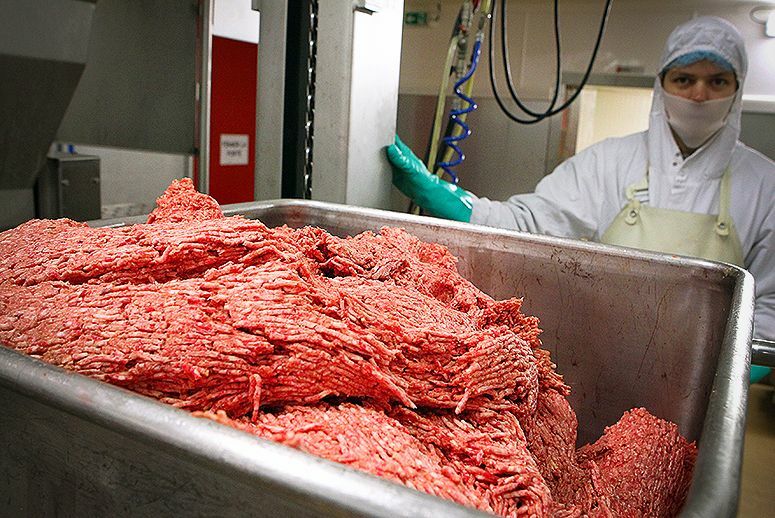 Sure, we’re more than a century removed from the filthy descriptions of meatpacking plants in Upton Sinclair’s classic, The Jungle, but these studies might be another red flag about the overall cleanliness and safety of meat producers in the United States.